Topic: Tunnels no longer generate track sections. 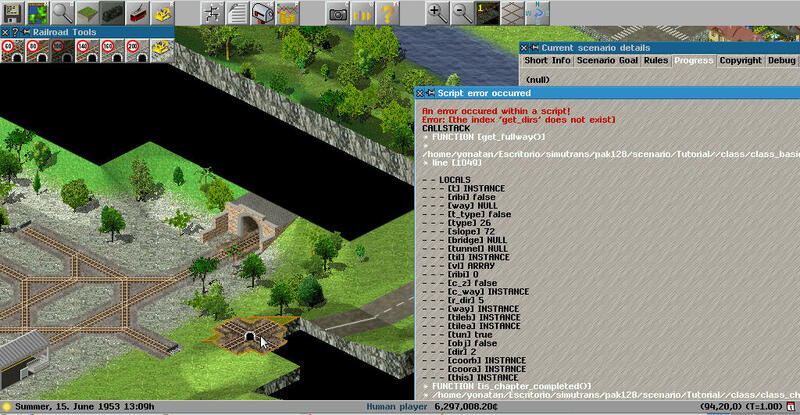 If I create the tunnel entry (given Ctrl), the tunnel section will no longer be created. Re: Tunnels no longer generate track sections. This was a recent change, or did something break in the code? . 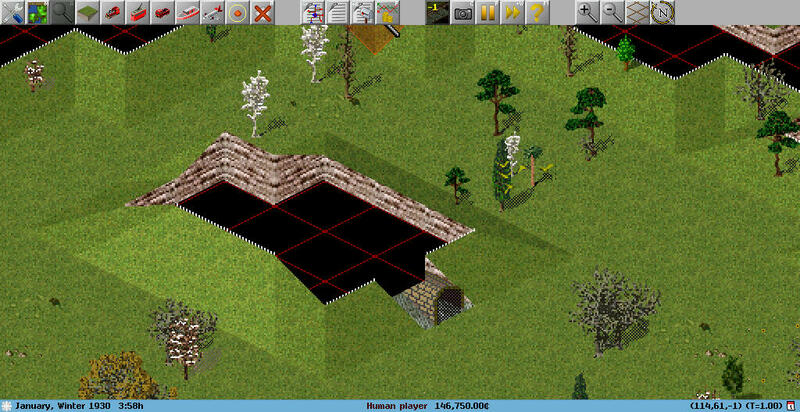 There was problem that sometimes tunnel tiles were created, where they should not be: If build single tunnel portal on a lonely artificial slope with no hill behind. Afaict this commit brought back even older behavior to not create the extra tunnel tiles. Unfortunately, a chapter breaks in the tutorial scenario, and I can not solve the problem. The problem is the ribi, in the entrances of tunnels can not be differentiated from a stretch of road. For example, dead ends have ribi of: 1, 2, 4, and 8. But in the entrances of tunnels they give a ribi of: 5 and 10.